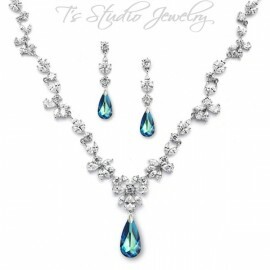 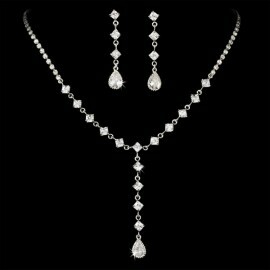 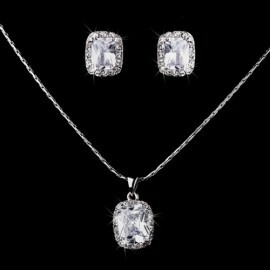 This delicate silver cubic zirconia necklace and earring set is truly beautiful. 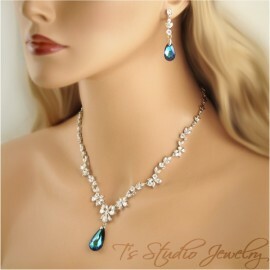 The necklace is lined with small cubic zirconias and features a gorgeous teardrop stone centerpiece. 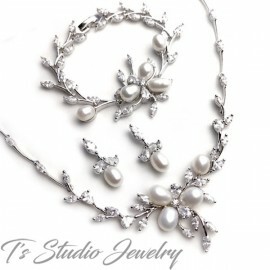 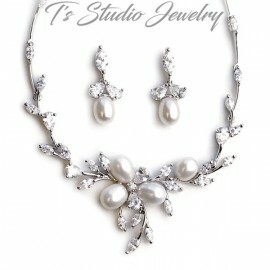 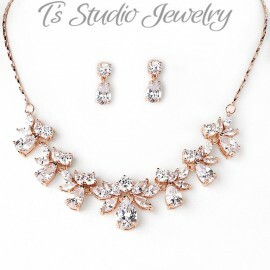 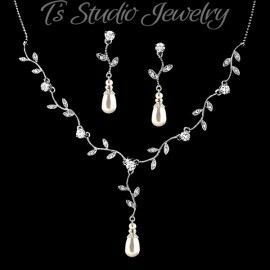 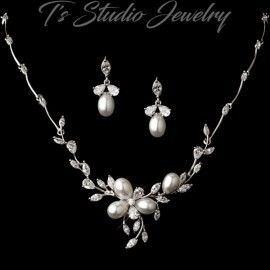 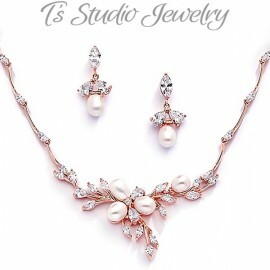 This set is perfect for any wedding, prom, homecoming or special occasion. 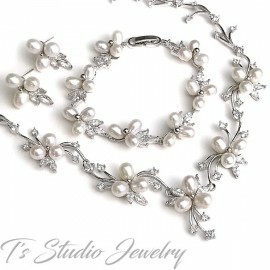 Necklace measures 15” with a 1 1/4” drop.